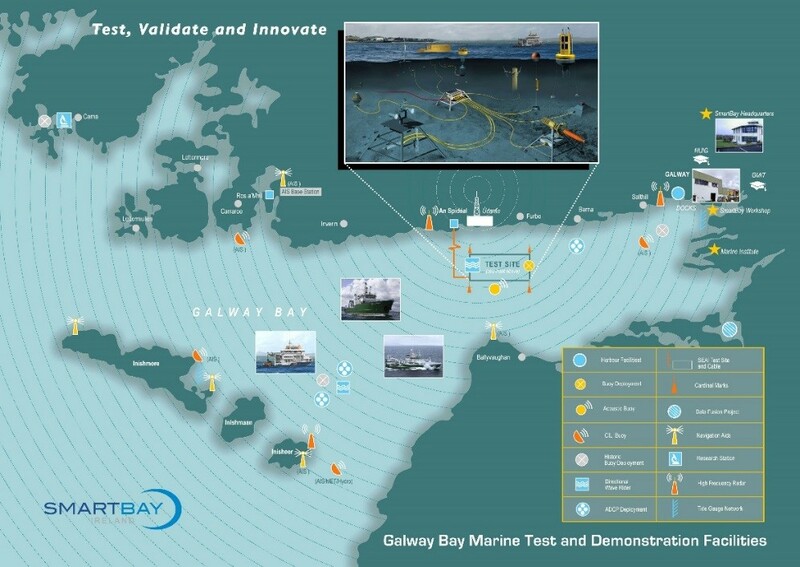 The SmartBay test site is within the confines of Galway Bay, 1.5km offshore, in water depths of about 21 m.The facility includes surface buoys and a subsea seabed observatory with fibre optic data and power allowing novel marine sensors and equipment to be tested in a real marine environment with real-time monitoring of performance. 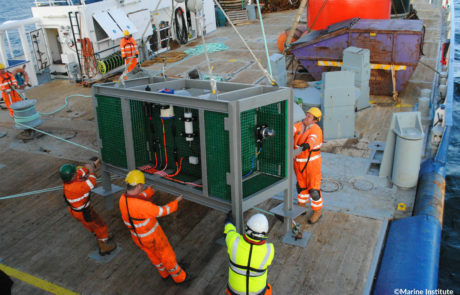 The node currently includes: 400vDC power cable; fibre optic data (high speed communications via 4 pairs of optical fibres) and a subsea cabled observatory with dedicated ‘science ports’ allowing the observatory to host a variety of sensors and equipment which can be tested and demonstrated in real-time. 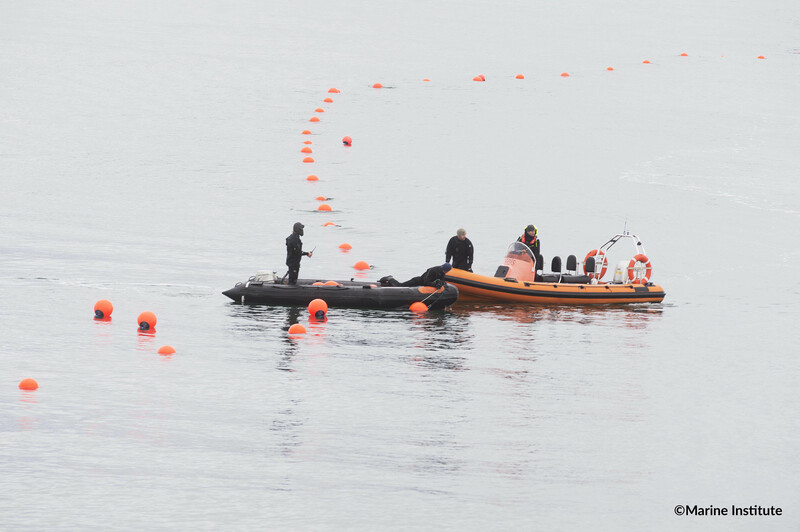 The testing and demonstration of new and novel equipment is one of the main drivers behind the SmartBay facility, allowing researchers and industry the ability to trial their technology in a real-sea environment and get data back in real-time. 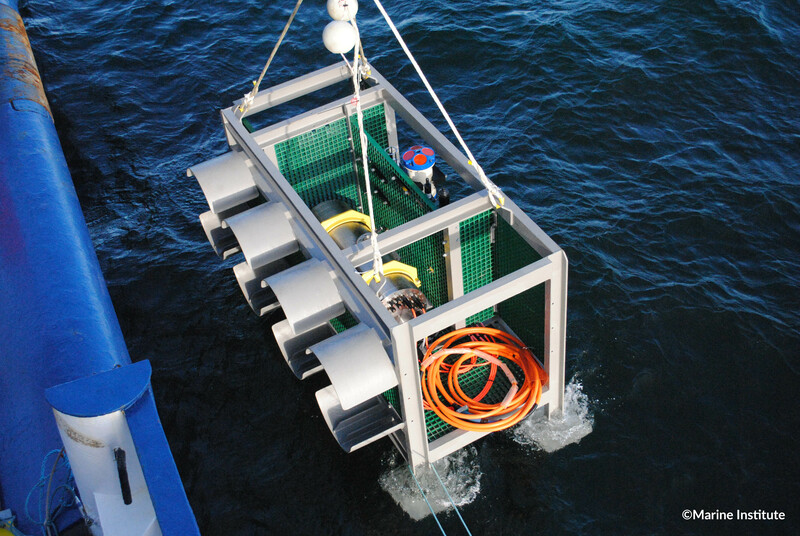 The observatory has a total of 18 combined electrical & communication interfaces (ports) capable of receiving scientific instrumentation of which 8 ports are available for the testing of novel marine instruments and equipment. 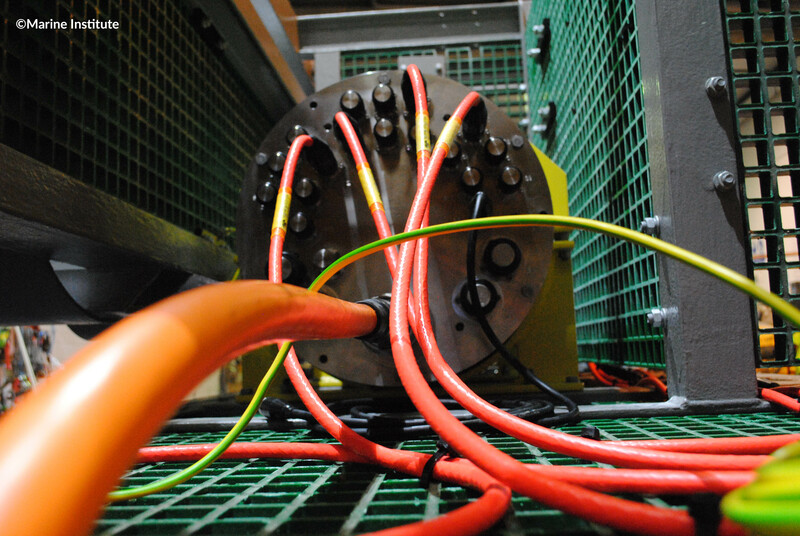 These ports provide electrical power (DC current at different current intensities and voltages) and two-way high speed data links to the instruments. The data links can be either Serial (any of three Serial protocols) or Ethernet. 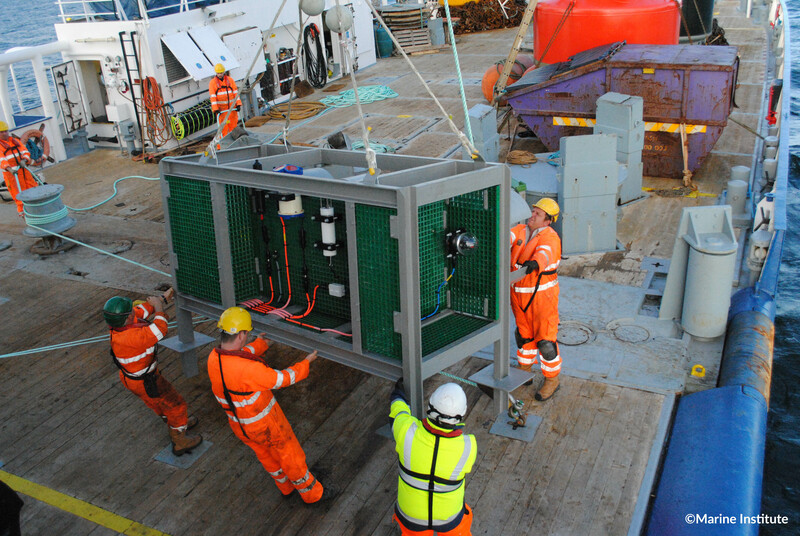 The observatory also incorporates a total of 4 electro-optical interfaces, and one coaxial interface (reserved for high definition video streaming).